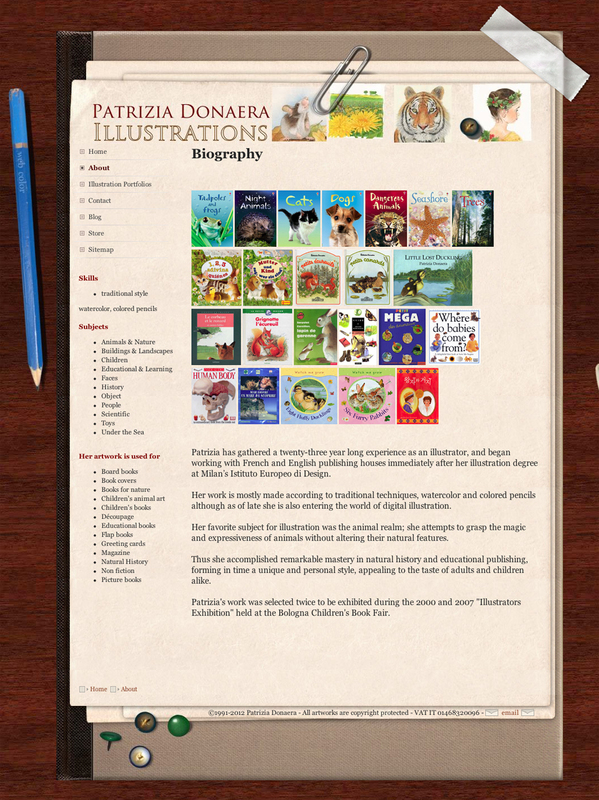 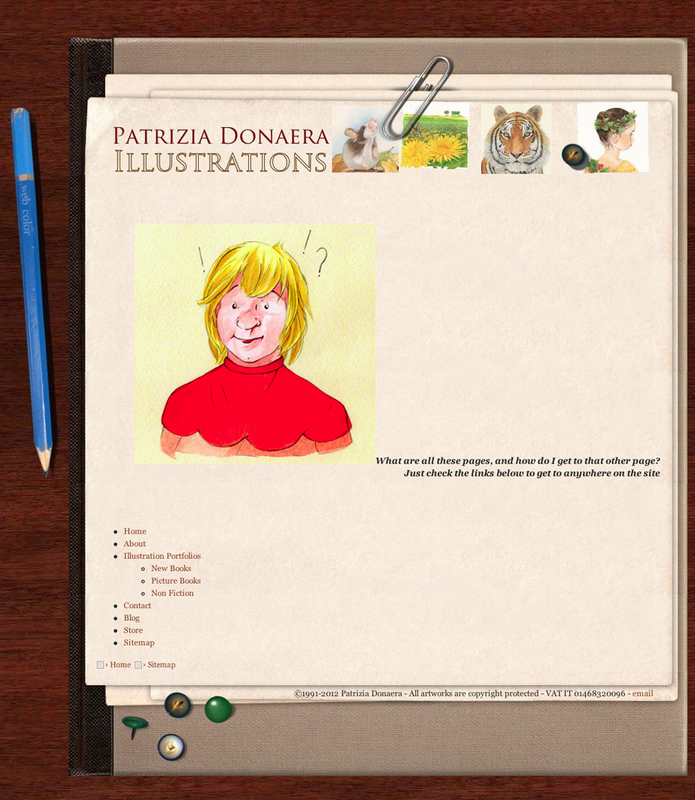 Patrizia Donaera ILLUSTRATION: My new Website on-line! 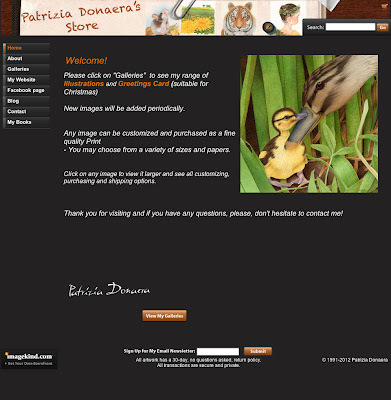 I'd like to inform you that my new Website is now on-line. I've totally redesigned and rebuilt it in my spare time ( last year I illustrated four new books …), with Rapidweaver ," a web design application that allows you to design & create a beautiful website on your Mac. " 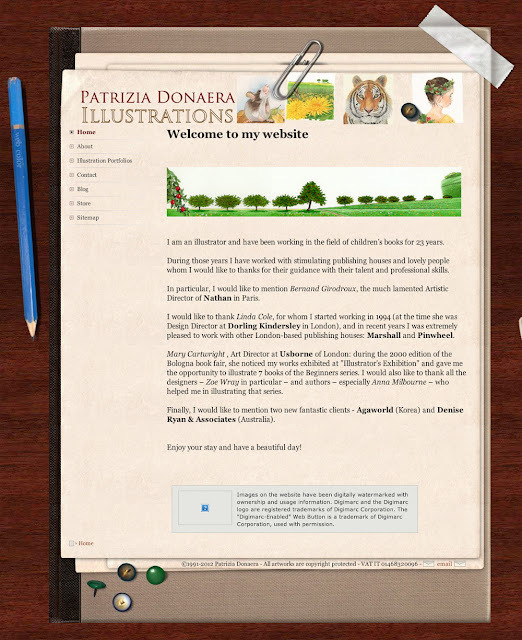 I've found helpful RapidWeaver Classroom (video tutorials), " the most comprehensive RapidWeaver training ." In addition I used the Plugin Carousel (it builds an animated bar thumbnails from your images ) and RWmultitool 2 (an external image-editor dedicated to RWthemes). 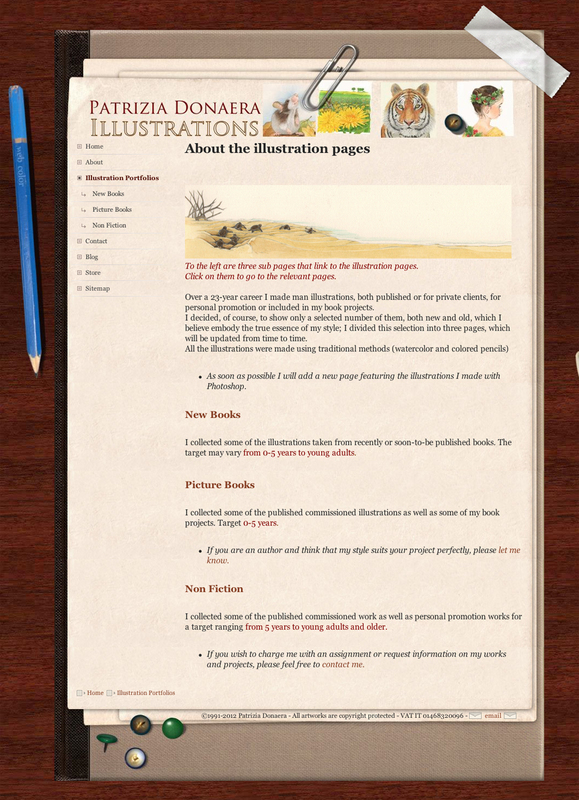 Two Offsite pages that links directly to my Blog and my Imagekind Store. I hope you will enjoy your stay.